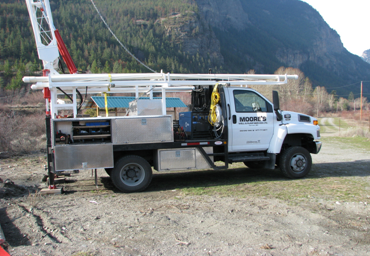 Water Pumps Okanagan Valley | Products & Services | Moore’s Well & Pump Service Ltd.
Moore’s Well & Pump Service Ltd.
Moore’s Well & Pump Service Ltd. is a registered dealer of Grundfos® Stainless Steel Pumps. These state-of-the-art water pumps work in both deep and shallow well applications. They not only operate at a high efficiency, their intelligent and adaptive controls reduce energy costs while ensuring reliable operation. Our fully certified crew is qualified to install your pump system, providing clean water to your house, shop, barn or cabin on the lake! 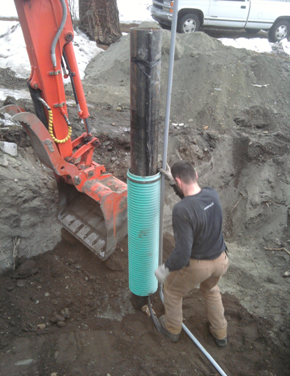 We also work closely with local hydrogeologists to perform well testing in order to prove a reliable water supply for obtaining a building permit, and with prospective purchasers or real estate agents to ensure an adequate water supply prior to purchasing. And don’t forget – we provide free estimates. Plus, our products are warrantied and our services are guaranteed.